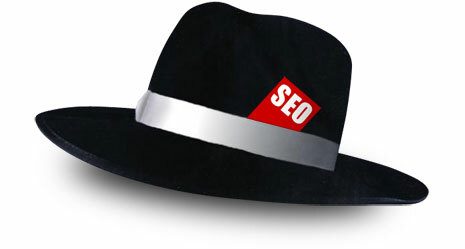 White hat SEO is generally considered the right, honest way to gain rank in the search engines However, several techniques to gain rank in search engines are black hat ideas with the common misconception that the techniques are white hat and follow guidelines. These misconceptions can cause you to lose rank in the big search engines such as Google, because the techniques are against Google’s quality guidelines. Most people know that backlinks increase Google Page Rank (PR) and help create a more authoritative site in the search engine’s algorithm. Backlinks should be natural and not purchased. Some webmasters build backlinks using directories, purchased PR links, and blog comments and forum profiles. Commenting is often considered a white hat technique if you do not post spam comments. However, all of these techniques are actually black hat, because they do not follow the search engine guidelines and are not natural. Natural backlinks are not purchased, and they are given by readers who link back to compelling, quality content. Backlinks provided by readers without link scheming and exchanging money are considered natural, white hat and following Google’s guidelines. Several different keyword density theories exist. The most common keyword density techniques are using a keyword or a keyword phrase three, four or five times for every 100 words. The common keyword density figure used is 3%. However, search engines have never specified any optimal number, so the keyword density theories are just myths proliferated on the Internet. Keywords should be in the HTML title and Hi tags in your page’s code, but keyword stuffing is an old, black hat SEO trick that can actually get your website penalized and banned. Google is able to read any content and rank you accordingly, regardless of the amount of times the keyword is placed in the content. A better way to write content is to ensure the keyword is placed in the title, and write the content naturally. Writing naturally also ensures that you include synonyms and other phrases people use to search for content. Having only one targeted keyword phrase limits the amount of phrases you can naturally fit into the content, so it can do more harm to your rank than good. Some webmasters create several domains and set up the domain with similar content. The complaint when the webmaster is penalized is that the content for each domain is original. Google’s guidelines tell webmasters not to set up several domains that target the same industry and have similar content. This technique is often called domain farming. If you have several topics targeting the same niche on several domains, you must forward all domains to one, central site. Create subfolders or sub domains for each topic. Creating several domains that focus on the same content and niche is against the Google guidelines, and Google penalizes websites that utilize this technique. Some webmasters attempt to interlink the domains to pass Page Rank among the different domains. This technique can lead to your PR being cleared to zero, which also leads to a drop in rank. If you decide to create several domains, make sure the domain has separate topics and they do not interlink with similar domains in your website network. All three of these techniques are considered white hat for most webmasters, but they are against Google’s guidelines, which makes them black hat tactics that can eventually cause harm to your search engine rank. The best way to do well with any website is to focus on your users, continue to add unique and compelling content to the site and provide great services. I have left all article marketing business websites after the recent slap of Build My Rank. Now I strictly only use forums and commenting to get quality backlinks. Good post. Well, that’s not true. Why would a legitimate comment (such as this one I’m writing right now!) be considered “black hat” or “spam”? I’m fairly certain that even Matt Cutts himself would agree that links from comments written by real people (like me!) aren’t and shouldn’t be considered spam.